The 2019 Eastern Region Convention will be in Albany New York on April 25th – 28th 2019 and information about the 2019 General Convention will be posted soon from the Corporate Office. 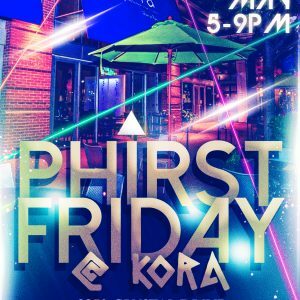 Join us on May 3rd for the next edition of ‪#‎PhirstFriday‬ at Kora in Crystal City! It’s conveniently located near the Crystal City Metro station on the Blue and Yellow lines. All Brothers, fellow Greeks, family, and friends are welcome as always. The Theta Rho Lambda Chapter of Alpha Phi Alpha Fraternity, Inc. will hold our May chapter meeting on Saturday, May 11, 2019, commencing at 10:00 am. Please contact the chapter for the location. The meeting is for Brothers only and the attire is Alpha Sharp. 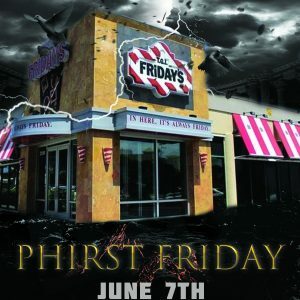 TGI Fridays (Alexandria, VA), 4650 King St.
Join us on June 7th for the next edition of ‪#‎PhirstFriday‬ at TGI Fridays in Alexandria! All Brothers, fellow Greeks, family, and friends are welcome as always. Join us on July 5th for the next edition of ‪#‎PhirstFriday‬ at San Antonio Bar and Grill in Arlington! It’s conveniently located near the Eisenhower Metro station on the Yellow line. All Brothers, fellow Greeks, family, and friends are welcome as always. The ΑΦΑ 112th Anniversary Convention, 95th General Convention will be in Las Vegas, NV July 24-28, 2019. More details are forthcoming. Hen Quarter, 801 King St.
Join us on August 3rd for the next edition of ‪#‎PhirstFriday‬ at Hen Quarter in Alexandria! It’s conveniently located near the King St. Metro station on the Yellow and Blue lines. All Brothers, fellow Greeks, family, and friends are welcome as always.